Just the other day a colleague of ours posted on one of the social networks, her mother said to her she was wasting her time pursuing a music career. In her post, she seem to be asking the question did anyone agree. Well you know I had to immediately post a comment. My comment was simply , my mother said the same thing to me a long time ago and that she shouldn't be surprised. That's what parents do, they love their children and want the best for them. I went on to say to her that it's her life, therefore she's entitled to choose her own path and that she shouldn't take it to heart. It comes with the territory. Being an artist myself I've come to the conclusion we have to define success for ourselves and not let or wait on others to validate us. I say this because success to me is relative. What defines success for one artist may not be the same for another. In fact, there are different levels of success. So if we haven't arrived at our highest plateau it doesn't mean we haven't been successful. As TN'T we are about to release our third indie album, each time we have taken our art to another level. This time we're about to do it again and although we've yet to reach platinum status, for us each release has still been a success. Success as is beauty, is in the eye of the beholder. Stay tuned and be on the look out for our forthcoming album "Don't Let Go". Being artists we've come to the conclusion we have to define success for ourselves and not let or wait on others to validate us. I say this because success to me is relative. What defines success for one artist may not be the same for another. In fact, there are different levels of success. So if we haven't arrived at our highest plateau it doesn't mean we haven't been successful. As TN'T we are about to release our third indie album, each time we have taken our art to another level. This time we're about to do it again and although we've yet to reach platinum status, for us each release has still been a success. Success as is beauty, is in the eye of the beholder. 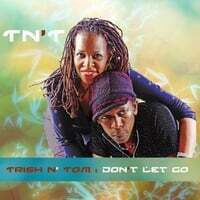 Stay tuned and be on the look out for our forthcoming album "Don't Let Go".